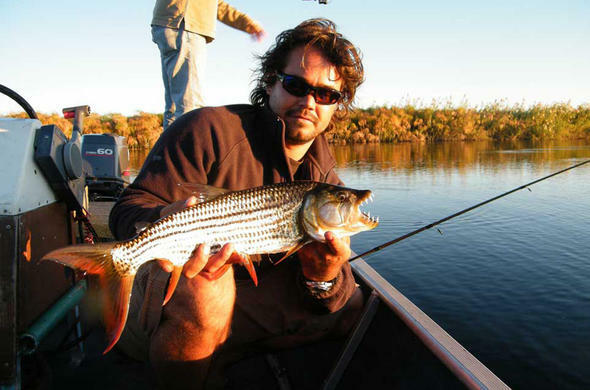 The Okavango Panhandle is not a well known destination on the African photographic safaris map - known only by avid fishermen and more recently birders - but with the yearning for safari experiences with a difference the Panhandle is being presented as a ‘go to' destination. 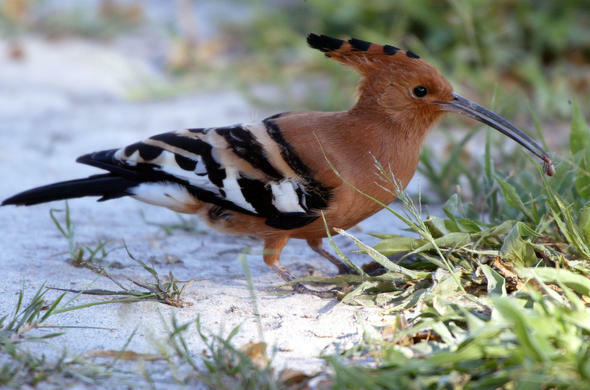 When most people think Okavango or Botswana they will probably think big game, and although the two may be associated with the large animals of Africa the Okavango Panhandle is more about the birdlife than the big game. More than 350 species of birds have been recorded in the panhandle environs, including Okavango specialities such as the Pel's Fishing Owl and the African skimmer. The riverine trees, reeds, papyrus and sandbanks provide a habitat of varied aspects for birds to occur. 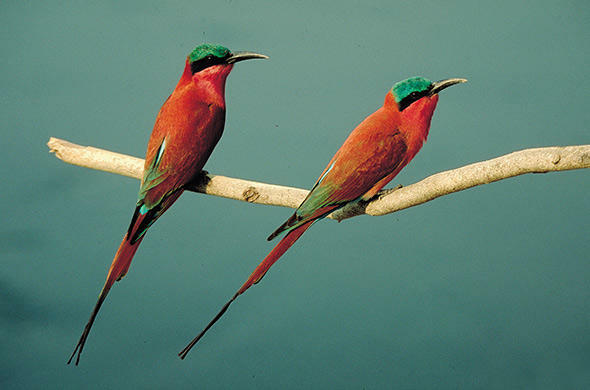 Bird watching is done from dugout canoes motorboats and houseboats - or walking on the islands and banks of the river. The panhandle has long been the haunt of fishermen, and is still so today, with some of the continents best fishing spots and catches. The legendary tiger fish, together with bream, make for an unrivalled fishing safari. Although not known as a big game destination the Okavango Panhandle does have its larger denizens - such as the hippo that lounge in the shallows and the crocodiles that sun themselves on the sandbanks. 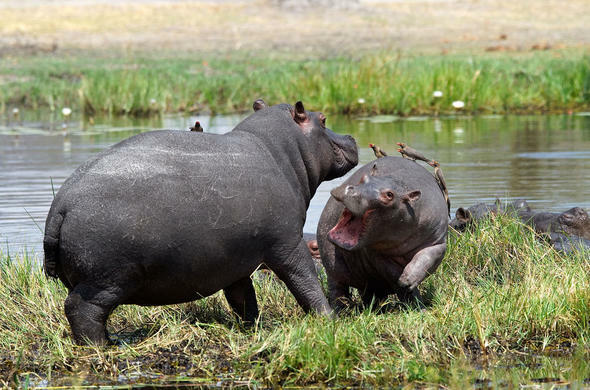 The gruntings of hippo are a common sound in the panhandle and the occasional roar of a nomadic lion can be heard. As in many parts of Africa there is a great deal of conflict between wildlife and humans in the Panhandle - in particular with elephants destroying crops. 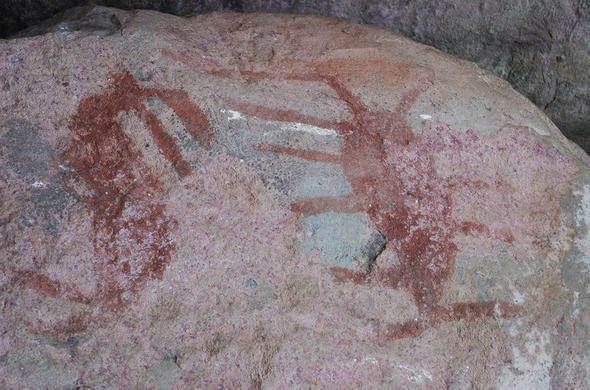 Herds and nomads from the wilderness areas wander into the region and feed on the villagers' crops.